Egypt international Mohamed Elneny has revealed that manager Arsene Wenger has told him to shoot less and be an intelligent player. The Arsenal midfielder was speaking to Arsenal Magazine and quoted by KingFut.com saying he used to shoot more whilst at FC Basel. However, the French manager turned him into a team player and told him to be intelligent in how he shoots the ball. “I used to shoot a lot when I was at Basel but sometimes that doesn’t suit our style here. 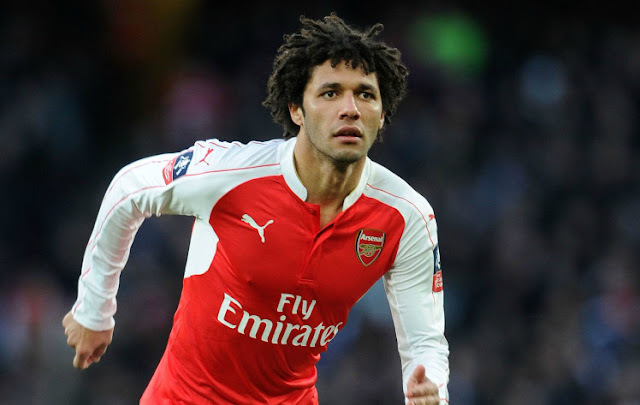 [Wenger] taught me to be more of a team player and to be intelligent in terms of when I shoot,” Elneny said. “I also paid attention to my teammates and took their advice. That has helped me to improve my performances already. “The most important thing for me has been listening to Arsene Wenger’s advice and putting it into action.